Mt Louis Station is located on some of the most stunning and sought-after coastline in Australia between Port Douglas and Cooktown, with the Daintree Rainforest, Cape Tribulation, the Great Barrier Reef, Lizard Island and Bloomfield Lodge all on its doorstep. The station is owned by Mike Gooley of the Trailfinders Group, who also owns Bloomfield Lodge and Hinterland Aviation. The Station offers a total area of 3,071 acres of pristine wilderness. With 2,000 acres of improved tropical pasture, the balance of the property, 1000 acres, consists of Mt Louis and Mt Annie, mainly rainforest with rare cabinet timbers, to melaleuca tea tree forest, swamps and mangroves. The property is fully improved with a Homestead, sheds, cattle yards and fences. The boat ramp on Plantation creek provides access to Weary Bay and Bloomfield Lodge. Guests from Bloomfield Lodge can enjoy this beautiful sandy beach and its surrounds, and experience the ultimate in Barra & Jack fishing and crabbing. Mt Louis Station has its own private airstrip. It is a grass strip approx 1000 metres long. 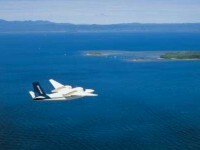 Bloomfield Lodge has its own daily charter service from Cairns to Mt. Louis Station provided by Hinterland Aviation. 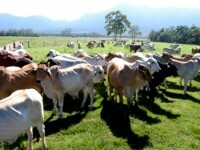 The working cattle station operates a range of Breeders to Bullocks, a quality herd of Brahman/Brahman cross cattle of approx. 1075 head. Guests to Bloomfield Lodge will be able to experience the working cattle station and participate with the Station’s stockmen on horseback as they muster and process the herd. Mt Louis Station is rich in history with first settlement in 1882, when sugar cane production began and its own mill and tram line was established. The original Homestead with a tennis court was built at the top of Mt. Annie, with breathtaking views overlooking Weary Bay to the Coral Sea. A truly remarkable and unique property, there are very few places in Australia where guests can enjoy and experience a working cattle station property by the Sea. 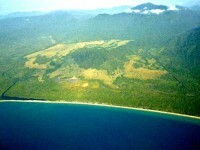 Beef by the reef , with bullocks to barra, rainforest, mountains, crystal clear streams and its own airstrip and boat ramp. Mt Louis Station is 30 minute scenic flight from Cairns departing the VIP lounge at Hinterland Aviation. To experience Mt Louis Station, visitors must be guests of Bloomfield Lodge. Please refer to the Bloomfield Lodge information within our website. Bloomfield Lodge is in the tropical north of Queensland. The major gateway town is Cairns with direct flights available into Cairns airport every day. From there, access to the property is vastly different to most experiences. Guests are picked up from Cairns airport and whisked to the VIP lounge at Hinterland Aviation to board a privately chartered plane for the scenic flight from Cairns. Before long, the vast tropical lushness of the World Heritage listed Daintree Rainforest unfolds below, and with a short outback drive and a gentle cruise downriver and across Weary Bay, you are welcomed into the soothing oasis that is Bloomfield Lodge.